A narwhal and large sperm whale. Engraving. Fig. 2. 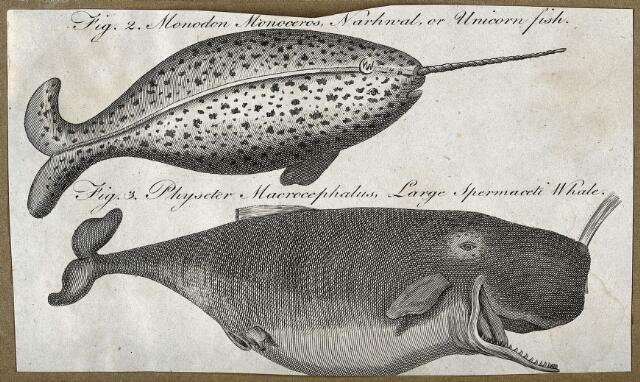 Monodon monoceros, narhwal, or unicorn fish. fig. 3. Physeter macrocephalus, large spermaceti whale.